Magic Garden is the title of By Malina's autumn/winter 2017 collection of pretty pieces with desirable sleeves, a perfect dusty pink hue for winter and red carpet hit. I'll refer you to the picture of the black dress with a voluminous skirt and eyelet lace. 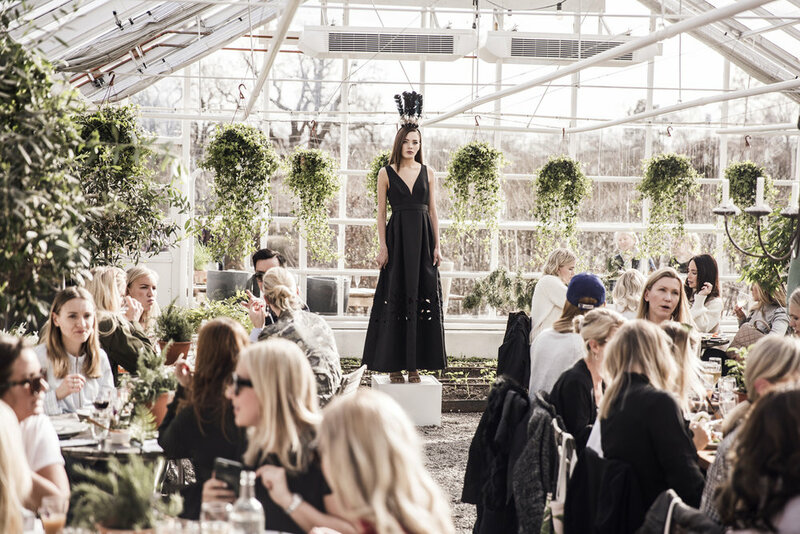 The AW17 collection was presented at (ironically) the most perfect spring lunch in a greenhouse at Rosendal's gardens on Djurgården in Stockholm. Food, wine and fashion. What more could a girl ask for on a Friday afternoon? Take mental notes for autumn now, I've of course added pics of my favourites here.